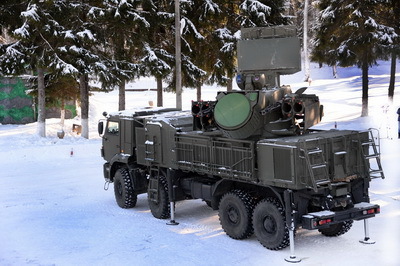 On 14 February, Krasnaya zvezda covered the arrival of a new Pantsir-S battalion in VVKO’s 4th Air Defense Brigade north and west of Moscow. In a bit of sidebar, the brigade’s commander indicated the next S-400 “regimental set” (sixth overall) will be deployed in his formation. Recall at the end of 2013, Russian media reported two “sets” (six and seven) were delivered to the military. The new two-battery unit of six Pantsir-S vehicles came from Ashuluk, following its first live fire exercises. Before this, the battalion was in Gatchina, near St. Petersburg, for initial training. According to its commander, Colonel Valeriy Varentsov, the 4th Brigade has four SAM regiments deployed in Yaroslavl, Tver, Kaluga, and Moscow regions. It received its first Pantsir-S battalion a year ago, and it is part of the S-400-equipped SAM regiment at Dmitrov. Colonel Varentsov notes the Pantsirs remain under factory warranty, so Tula-based developer KBP maintains them. His troops will take that responsibility at some future time. Varentsov expects another two-battalion “regimental set” of S-400 SAMs, which just performed live firings at Kapustin Yar, to arrive in his brigade soon. One might guess the new S-400s will deploy with existing regiments northwest of Moscow near Klin or Solnechnogorsk, or southwest near Naro-Fominsk. Varentsov said, for the first time, his brigade is getting S-400s on the MZRT-7930 8-wheel chassis from the Minsk Wheeled Tractor Factory, instead of the previous tractor / trailer configuration. Its prime mover was apparently built by the Bryansk Automobile Factory. The brigade expects S-500 deliveries in 2015, and a fully new inventory of armaments by 2020. 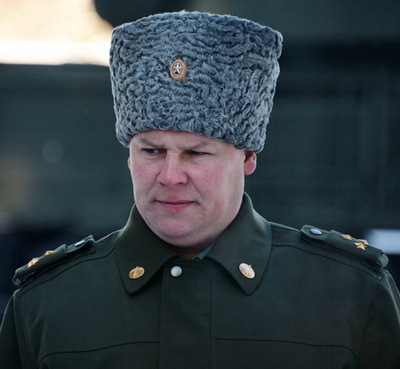 Varentsov hinted he’d like Baykal-1M command post vehicles. This entry was posted in Aerospace Defense Troops, Force Modernization and tagged Baykal-1M, ЗРПК, MZRT-7930, Pantsir-S, S-400, SAM, VVKO, ZRPK. Bookmark the permalink.